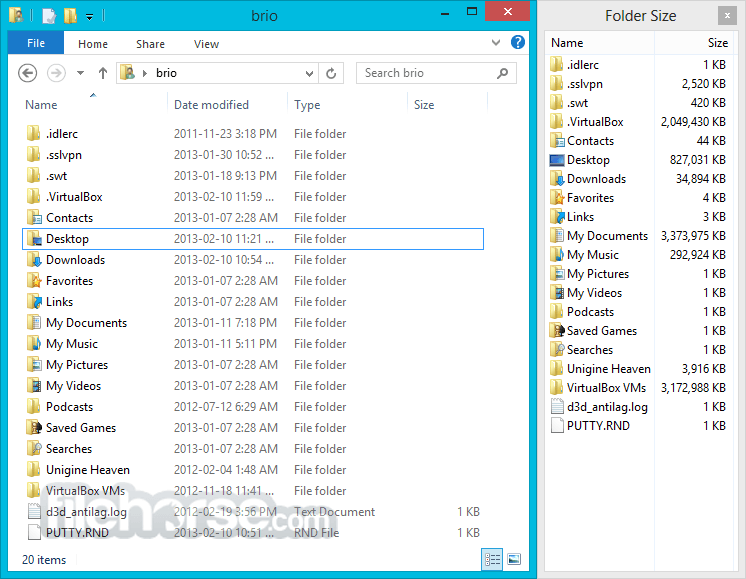 Folder Size for Windows 64-bit adds a new column to the Details view in Windows Explorer. The new column shows not only the size of files, but also the size of folders. It keeps track of which folders you view, and scans them in the background so you can see complete size of all files within the folder. It's very useful for cleaning up your disk. Once you get used to having that information available, a directory listing simply looks incomplete without it! Folder Size for Windows may be distributed under the terms of the GNU General Public License. If you don't show the Folder Size column for a while, it won't forget what it's already scanned, but the background scanner doesn't stay active. It won't waste any CPU time maintaining the cache on your P2P sharing or gaming machine that's always changing files.